I started to know more about Design after my one year thesis work. By then, design has become my friend and my teacher. Many people have bad experiences in their childhood and the most significant of these, according to contemporary psychology, are known as Adverse Childhood Experiences (ACE). HEY MONSTER is a project intent to explore how we can integrate design into a discussion that is mainly under the purview of psychology. HEY MONSTER has 13 different monsters, each representing one area of ACE. It is also a therapeutic app, that aims to help people find, and eventually love, their little monsters as they learn more about themselves and work through issues in therapy. Why do I want to do this? Did I ask the right questions? I always asked myself these questions at that time. 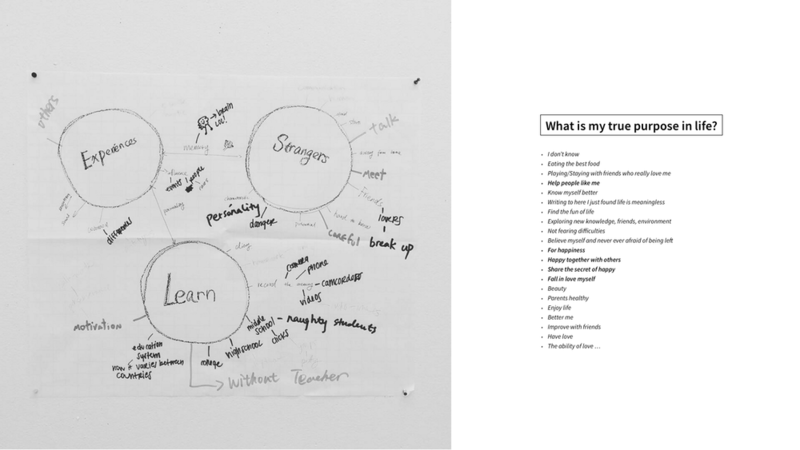 I used the mind map, writing and affinity notes as research methods to search and rephrase my questions. Sometimes seeing a problem differently can enable us to find another question behind it. The process of defining the main problem was very interesting. It was also a process of understanding myself. Childhood, personality, a better life, fun, self-improvement.....these are common key words appeared in my writing. I try to break down these words in order to connect with other ideas and also rephrase them in some different propositions. I was stuck by teenagers mental illness. Although my initial audiences were teenagers, researches and literature review showed that people who serious effected by their bad childhood memories should be the real users of this project. Problem kept changing within design research. The research process has a cyclical system: data collection-data analyze-conclusion-new questions. Two months design research is the process to unveil the real question I need to solve and get more sense of what my audiences need and want. A very helpful resource was done by Dr. Vincent Felitti and Dr. Robert Anda. They found the ACE has a long-term effect of human life, no mater physical or mental. According to data collected from the over 17,000 Kaiser patients in this ongoing retrospective and prospective study, adverse childhood experiences, though well concealed, are unexpectedly common, have a profound negative effect on adult health and well-being a half century later, and are a prime determinant of adult health status in the United States. How can I use design a way of support people with ACE (bullying, violence, sexual, abuse, etc)? My goal in this project is to integrate both design and psychology to my work, which drives behavior change. In this project, the result of my research and design iterations is called Hey Monster. Hey monster has 13 different monsters, each representing one area of ACE. 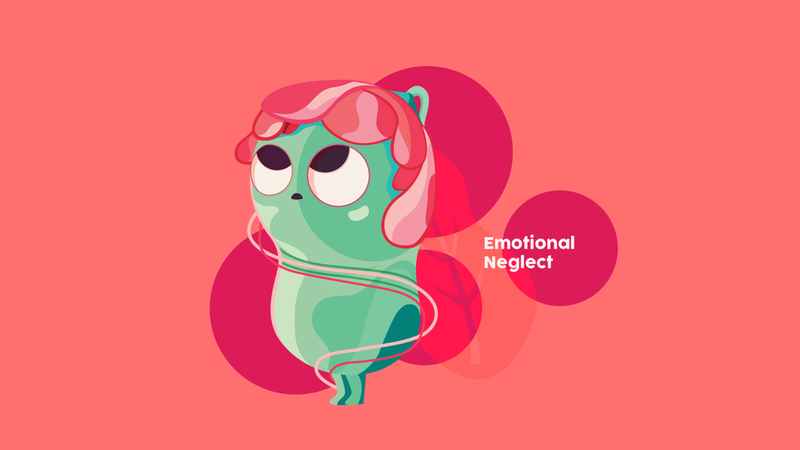 Hey Monster is also a therapeutic app, that aims to help people find, and eventually love, their little monsters as they learn more about themselves and work through issues in therapy.